The Leadership Advisory is an intentional platform that seeks to foster and build an active, interactive community of leaders sharing their questions, observations, and challenges in the context of real-time leadership action. The Advisory fosters the practical “sharing of learning and sharing of the practice” of leadership. Not only are leaders invited to share their questions, they also will be able to receive responses to the questions through our blog or e-newsletter. The only requirement is that you sign up for our newsletter. We expect other areas will evolve organically as tends to happen when the questions and dialogue are rich. As the year comes to a close, it causes one to reflect on the wonderful, rich relationships the Graduate School has enjoyed, and you are one of them. You have left an indelible fingerprint here. Often, I hear staff referencing the wonderful guidance you shared with them in counseling and coaching sessions. I continue to look forward to better fiscal times so that I can invite you back to be a thought leader and change agent. You will be forever on my contact list of consummate professionals. I pray 2013 will be a year full of abundance and joy. You’ve been a great resource. I know that I didn’t fully take advantage of all you had to provide. Luckily, I get to see you at the sessions. You are such a wonderful person and I am glad you were our coach. Thank you so much for your expertise in getting us going in the right direction. May God Peace and Blessings be with you and your family. Thank you for taking the time to train our class on leadership skills. The knowledge I gained from this program has already impacted me. I am eager to continue to apply these skills and grow as a leader with the Forest Service. I truly appreciate the expertise and knowledge you shared with us! You are classy, dignified, smooth. You’re my inspiration to be more. Every time we work together, I learn more. Thank you for making every experience, every conversation memorable and valuable. May we continue to work and connect in the future. I appreciate your understanding with our group conflict. Your role played a huge part in our success!! The best memories of this program were your candid sense of humor and enriched life experiences. Specifically sharing your writing tips with my daughter. You are an inspiration to our LDP Program, our generation and myself. Thank you for being an awesome instructor! I am glad that I was able to meet you during our first session. I learned a lot from you and that helped me as I was deciding to take the job in San Diego. My self-confidence has increased a lot during the six months and I was happy in our debrief that you noticed the change in me. It was an honor to have you as my instructor during the NNLP. I really enjoyed the opportunity to connect with you after and during class. You will be greatly missed. I have learned so much from you. I don’t know ow I can express my thanks. So, Thank You!! You made this class memorable and fun. Your sense of humor along with your knowledge on leadership proved to be invaluable. When I am put into trainer roles, I hope I can duplicate your methods in my teaching. 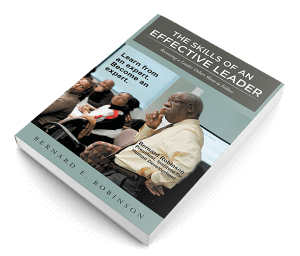 Learn the needed skills on how to become an effective leader.